Need click to dial from a web browser? You may remember that you can use Digium’s Firedialer for Firefox which dials any phone number displayed in a web page, dial recently called numbers, as well as highlight phone numbers on a web page you’re navigating. A tool I’ve used since its inception. Which is mostly why I’ve been a faithful Firefox user for so long. I really do use this every single day. Enter the new “Switchox Dial for Google Chrome extension”. This makes me reevaluate my long relationship with the Firefox browser. With this extension, you can click to dial from any Google Chrome web page, dial from your Switchvox phone books, and view your call log – all from the browser. 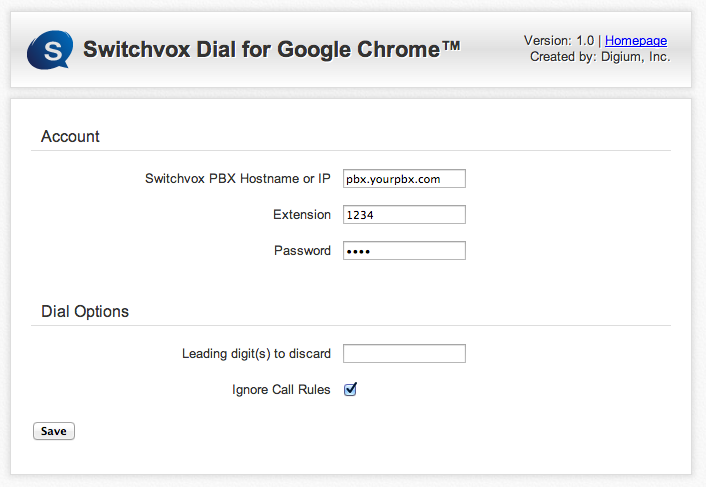 The Switchvox Dial for Google Chrome extension is available now for free at the Chrome Web Store. I’m going to make the switch for a few weeks and see if I can break my dependance on Firefox. I’ll be sure to update you of my progress. But no matter which browser you use, it’s win/win either way.